BBC Radio Ulster, Gardeners Corner. 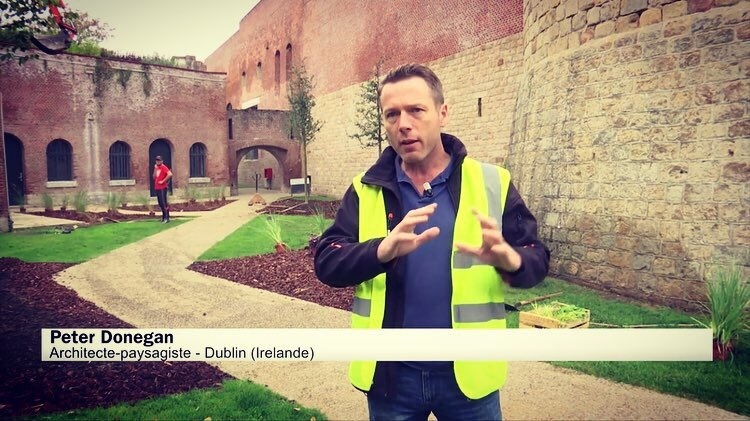 The recording (below) for France Tv station Weo with Adelaide Bollart, was just as I began phase 2, of the completion of the Irish WW1 Peace Garden at Chateau de Péronne, Historial de la Grande Guerre, France. 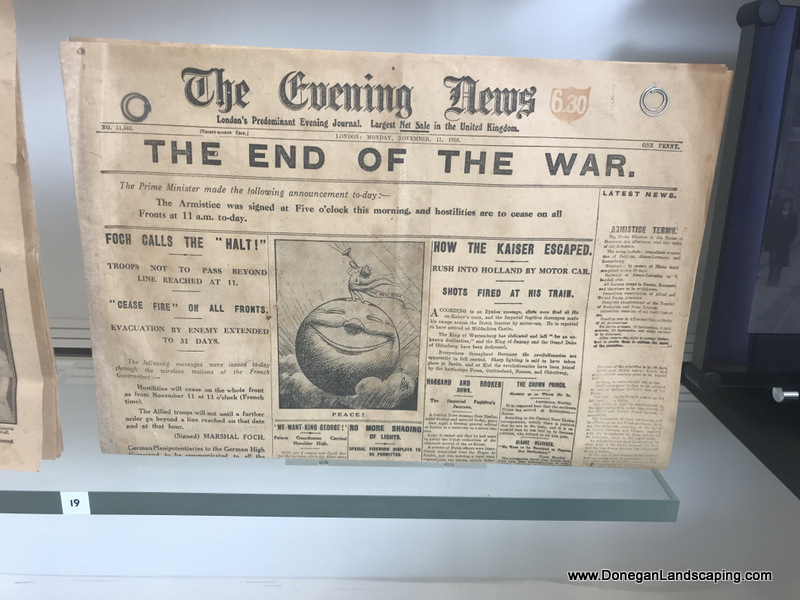 Though an official inauguration is to be announced, the Irish Jarden de la Paix garden has was opened Tuesday 8th November 2018, in time for the Armistice Centenary. 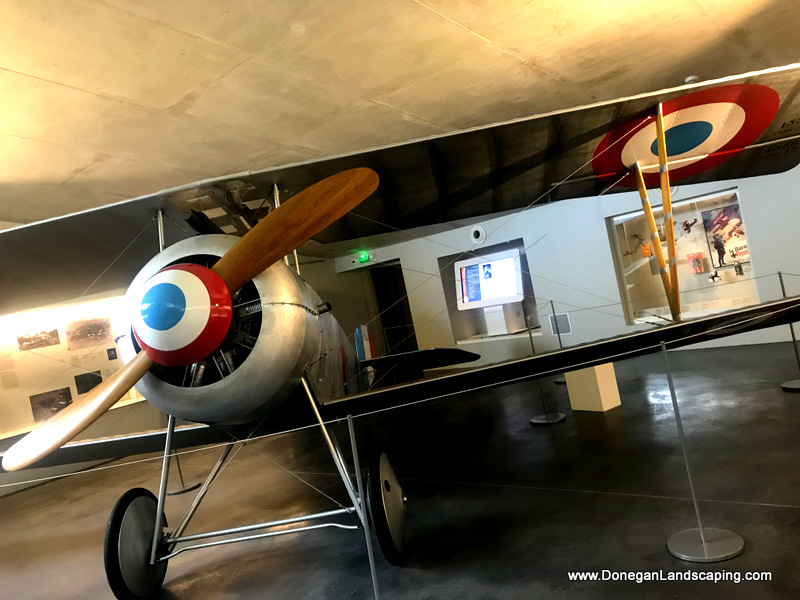 This is the only video interview I have done on the Irish WW1 Garden of Peace | Jardin de la Paix, at the Historial de la Grande Guerre, better known as Chateau de Peronne since France 3 TV covered it as the first of the peace garden series to start. 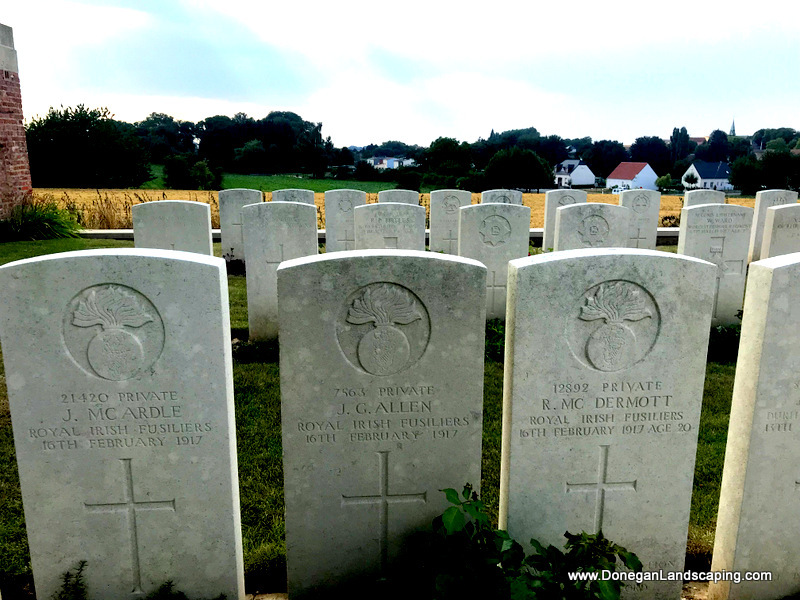 I’m due to speak at The Landscape Show, London September 2018 alongside Andrew Fisher Tomlin about the realisation of the Jardin de la Paix – a series of Peace Gardens in Northern France to commemorate the end of World War 1. The following is a little more on my being selected to represent Ireland, the realising of the garden in the moat of the Historial de la Grande Guerre (Chateau de Péronne), a little behind the scenes and so I and you post my talk in Battersea Park better understand the behind the scenes of the gardens final design. This by Anthea McTiernan appeared in The Irish Times Sunday 5th August 2018. The Irish landscaper building a war memorial garden in France. 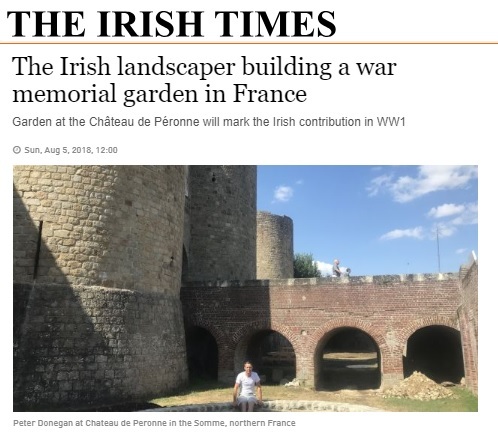 Garden at the Château de Péronne will mark the Irish contribution in WW1.